Having a reference on rent payments makes it easier for our accounts team to know when payments have been made. 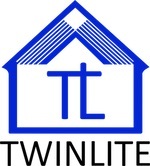 Its always best to have a reference added when making the payment, but if you forget, please email us at support@twinlite.com with details of the transfer and we will attempt to locate it. If possible, please send a photo of the transfer receipt.